Are you a beginner or intermediate blogger? Are you frustrated with watching other blogs take off and wonder why you just seem to be staying in the same place? 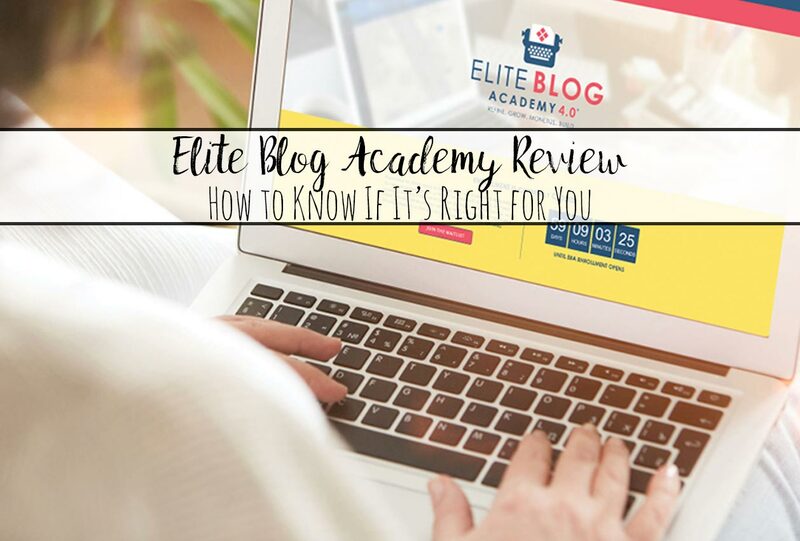 If so, Elite Blog Academy might be right for you. This review is designed to cover the pros and cons. Answer your questions. And help you decide if Elite Blog Academy should be in your future. 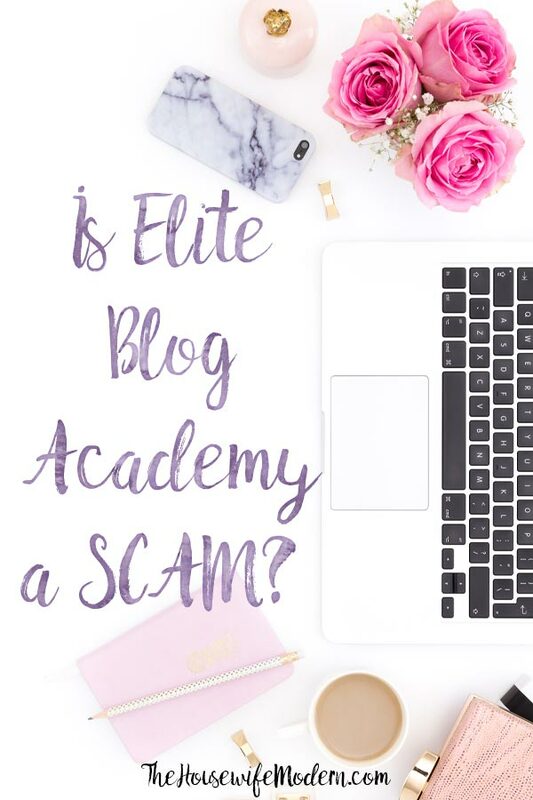 First of all, what is Elite Blog Academy? It’s a self-paced course of 12 units with 36 assignments designed to turn your blog into a successful, profitable business. 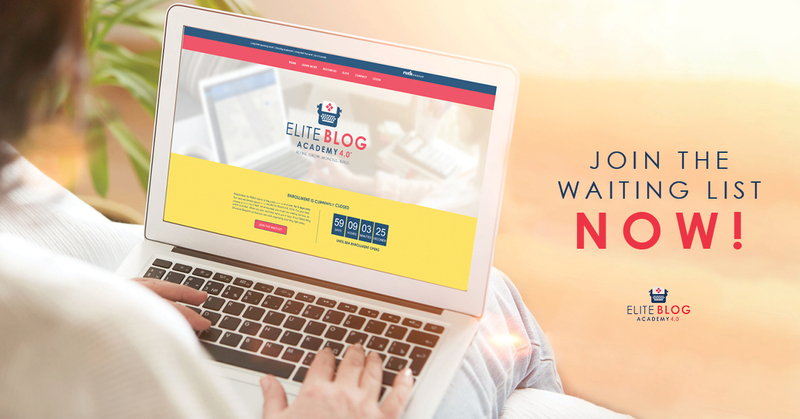 I am an affiliate for Elite Blog Academy (and this post includes affiliate links). In order to be accepted as an affiliate, I was required to go through the entire program. And I paid for it, just like you’ll have to. So you know you’re talking to someone who has actually invested in and used the product. And seen results. Elite Blog Academy covers a ton of material from refining your basic message to launching a product to expanding your business. Check one or two of them out and see if you like Ruth’s style. Her fabulous freebies are how I first was introduced to Elite Blog Academy. 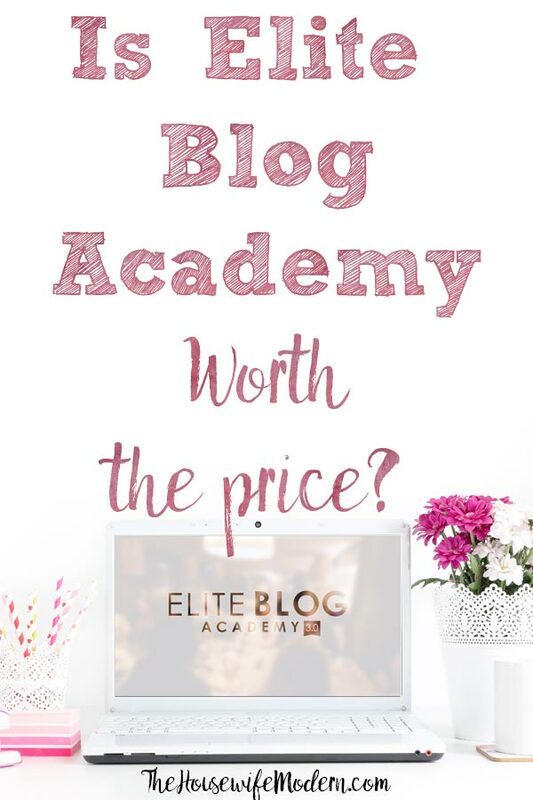 How much does Elite Blog Academy cost? This is going to hurt. Sorry about that. I’m not joking that it’s a serious investment. $997 for a one-time payment. Or you can choose to do 3 payments of $397 (for a total of $1,191). This is where you need to look at your return on investment. I’ve MORE than earned my money back since then from implementing things I’ve learned on the course. But there is no guarantee. YOU have to do the work and apply the knowledge to your particular blog. If you’re a beginner blogger, it might take longer for your traffic to pick up since you don’t have a backlog of posts that are bringing in consistent traffic and you have more to learn. For an intermediate blogger, it should take less time. You might also invest in other tools, such as an e-mail service as you work through the course. 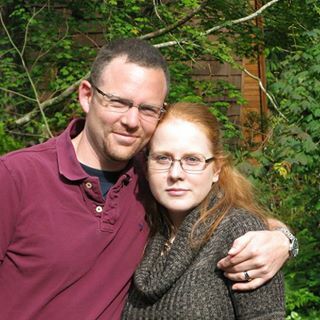 Elite Blog Academy has a ton of success stories behind it. Click here to read them. But you might be interested in my personal results. It took me about a year to work through Elite Blog Academy. The course is self-paced, so that wasn’t a problem. I took a few months on the unit dedicated to making a product because I wanted a fabulous product that my readers would love. Check out “Life Organized” if you want to see what I created! I’m working on my second product this year, and am dedicated to product creation as a reliable source of income. But back to the results. Here’s a screenshot of my page views. As you can see, over the last year, my page views have gone up over 250%. And they’re continuing to rise. My e-mail list has gone from 3,000 to over 9,000. And more every single day. But the real results. I’m actually making money now. It’s not a lot. I average between $500 to $800 per month. Before I was making (maybe) $50 a month and that was in ad income that slowly trickled in. For 10-15 hours a week of work, I’m not complaining. And I could be making more. But I decided sponsored posts weren’t a direction I really wanted to go in. So I rarely do those. Like I said, that isn’t the $5,000 (or crazy $25,000) a month other people are making. But I’m on the path to that. And have no doubt I’ll achieve it. Yes, seriously. I have confidence in my growing business now. Facebook support group. The support provided in the group from both the staff and especially the other students was worth a good portion of the cost. Covers almost everything. I was amazed how much material was covered in this course. I was expecting something good for the investment, and this product delivered. It covered basic stuff that I THOUGHT I had done. One example? Refining your message (an early part of the course). I thought I knew what I was doing and what my site was about. But going through the material and assignments, I realized how much was left to do. And it (of course) covered a ton of stuff that I hadn’t done yet. Lifetime access. I joined with the 3.0 group and can’t wait to see the new material and bonuses that are coming out with 4.0. Yep, lifetime access includes access to each year’s bonuses. You have to have your blog set-up. You can check out my post (it should have been a mini-book) on how to do that: “How to Start a Successful Blog.” It has a lot of steps, but includes printables and a TON of information to help you do it right. It doesn’t go as in-depth into a couple of things. One particular area that was lacking was SEO. But I took an entire course on SEO (Sticky Blogging SEO) and realize that it’s impossible to cover everything as in-depth as a course designed specifically for it. But the basics are covered. I learned a lot I didn’t know. In fact, it was the SEO unit that prompted me to dig deeper and want to learn more. I didn’t like the product launch process (it calls for a seed launch before the actual launch). In fact, this was the one area in Elite Blog Academy where I ignored the advice and did it in a slightly different manner. But it worked for me. And the pressure and support to make a product was greatly appreciated. I never would have taken the leap without Elite Blog Academy. And it turned out to be the direction I want to take my blog in the future. No tech support. I can understand that it’s impossible to provide all the tech support needed for thousands of students. But it’s a definite con. If you’re having coding problems, some glitch with plug-ins, etc., it’s still up to you to figure out it. They DO have a tech expert who can give some basic answers in the Facebook group, but it’s not in-depth. The return policy is pretty limited. It requires you actually take all of the course before deciding you want a refund. Which is fair. But I can’t imagine anyone ACTUALLY working through the entire course and then wanting a refund. You’re willing to do the work. Elite Blog Academy walks you through everything, has worksheets so you can apply every step. But YOU will have to do the work. You have to apply the information to your blog. If you want turn your blog into a profitable business, this is a great course. You’re already an advanced blogger. If your blog is well-organized, full of great posts, you have an e-mail list, and have a product…well, you should already be where most bloggers want to be. You’ll still get something out of the course, but it might not be worth the investment. You’re not self-motivated. This is a self-paced course with a ton of information. If you have a tendency to buy courses and then never complete them, this might not be the investment for you. Your significant other isn’t on board. This is a serious investment for someone who is serious about blogging. Look at it like going to college. You wouldn’t start that without their love and support. Same thing here. Okay, you’ve purchased it (or are on the waitlist). How do you get the most out of the course? 1. Overcome your “I already know this” feeling. Absolutely do NOT skim a unit and decide you know it. You have to go through the worksheets. I was amazed to find out how much I didn’t know that I thought I knew. (Did that make sense?). 3. Trust the process. There is a reason for working on the items in the order they are created. Don’t try to jump around the course. Slow down, work methodically, and do the work. Conclusion: Is Elite Blog Academy a Scam? Most definitely NOT. It’s an in-depth course on par with taking college classes. But like college classes, you have to do the work.